The archie dryer chair features a distinctive arch in the back cushion with a durable and wide seat. The unit includes the J316 dryer. 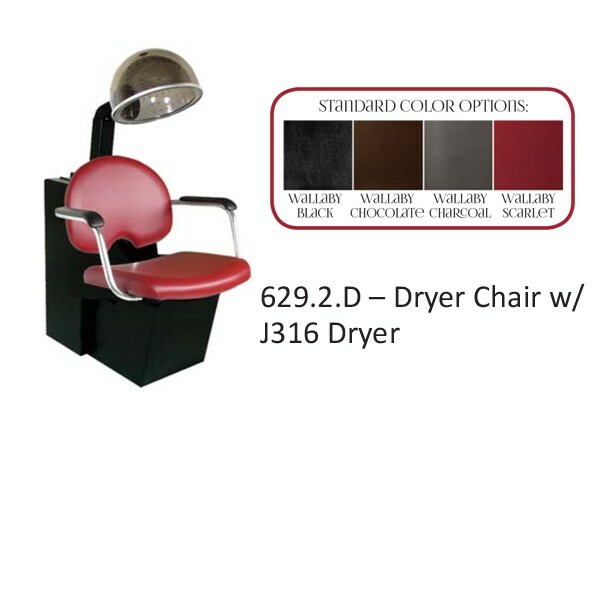 The Archie Dryer Chair, made to accommodate Jeffco and Highland dryers. Features include a unique arch in the lower seat back, durable tubular steel arms, molded urethane armrests, upholstered frame, and Archie cushions in the color ordered. Ordered for QUICK DELIVERY in four standard colors Black, Charcoal, Chocolate, or Scarlet or can be special ordered in 85 colors.